Gus Green Van Sant, Jr. is an American director, screenwriter, painter, photographer, musician, and author. He was nominated for an Academy Award for Achievement in Directing for his 1997 film Good Will Hunting and his 2008 film Milk, and won the Palme d'Or at the 2003 Cannes Film Festival for his film Elephant. He lives in Portland, Oregon. Gus Van Sant is an independent filmmaker whose forays into mainstream movies have included Good Will Hunting (1997), Finding Forrester (2000) and Milk (2008). He made a name for himself on the arthouse circuit with 1985's Mala Noche. For the next decade Gus Van Sant specialized in gritty dramas about outsiders, usually starring young up-and-comers: Matt Dillon in 1989's Drugstore Cowboy; River Phoenix and Keanu Reeves in 1991's My Own Private Idaho; Uma Thurman in 1993's Even Cowgirls Get the Blues; and Nicole Kidman and Joaquin Phoenix in 1995's To Die For (based on the true-crime story of Pamela Smart). The success of Good Will Hunting made stars of Ben Affleck and Matt Damon and Van Sant won heaps of praise for that film and his earlier work. Besides a 1998 color remake of Alfred Hitchcock's Psycho and the Sean Connery drama Finding Forrester, Van Sant has done mostly independent features from his home base in Portland, Oregon. His other films include Elephant (2003), Last Days (2005), Paranoid Park (2007) and Restless (2011, starring Mia Wasikowska). Milk> was based on the life story of San Francisco selectman Harvey Milk (played by Senn Pean); the movie was nominated for 8 Oscars, including best picture (Penn won for acting, and Dustin Lance Black won for writing). 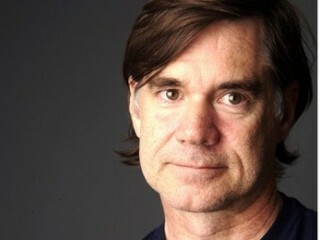 View the full website biography of Gus Van Sant.